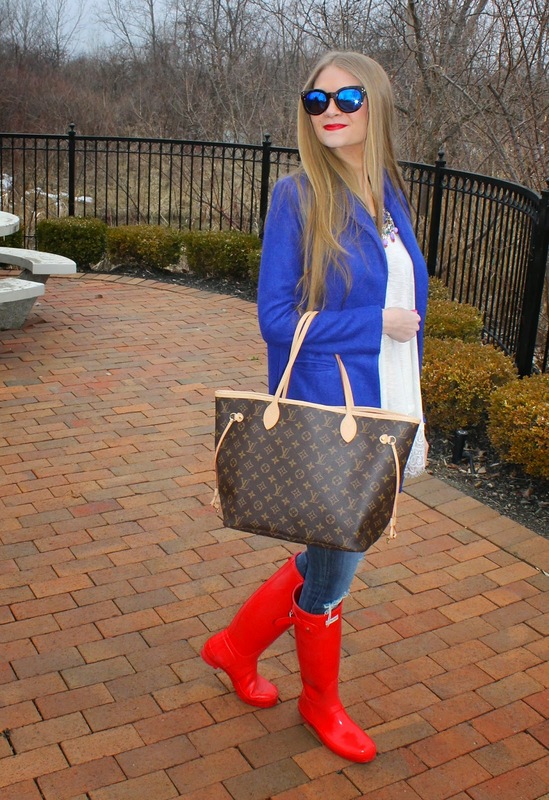 Spring means...rainy weather, but I'll take it any day over freezing temps & snow! 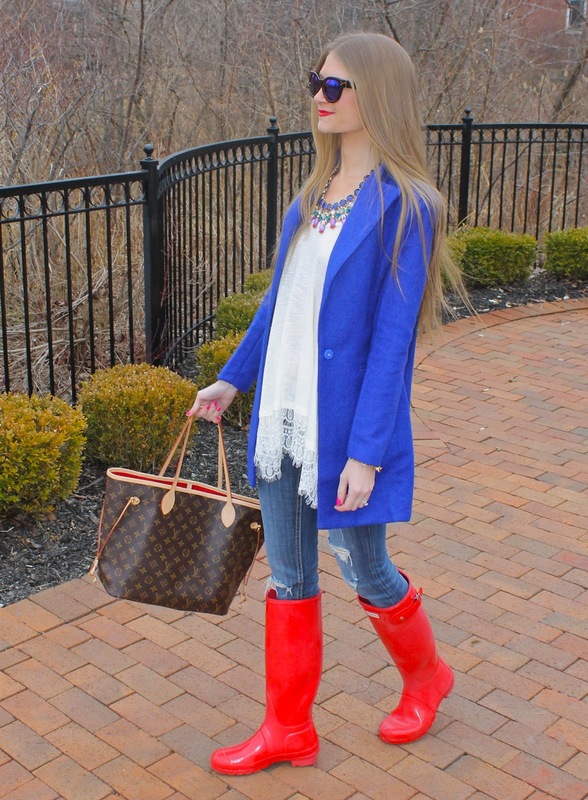 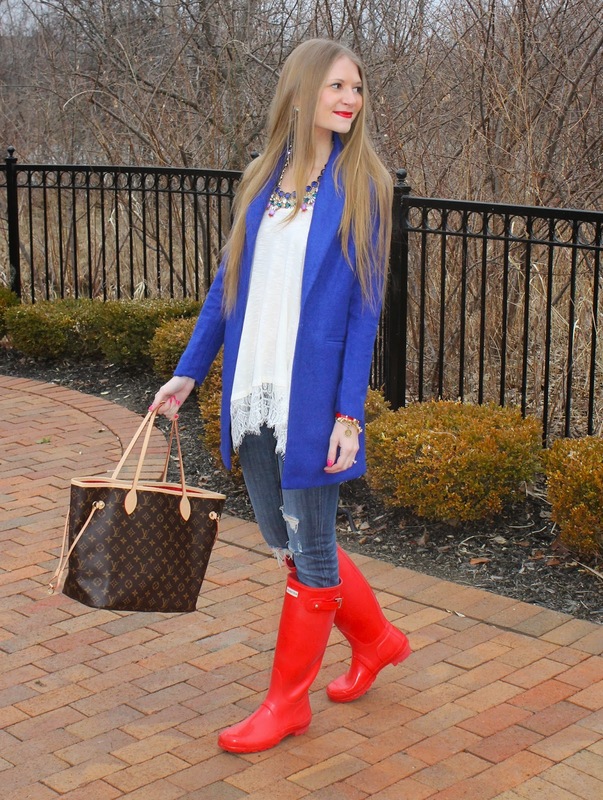 It also helps to have fun colored Hunter boots to make rainy weather more bearable. 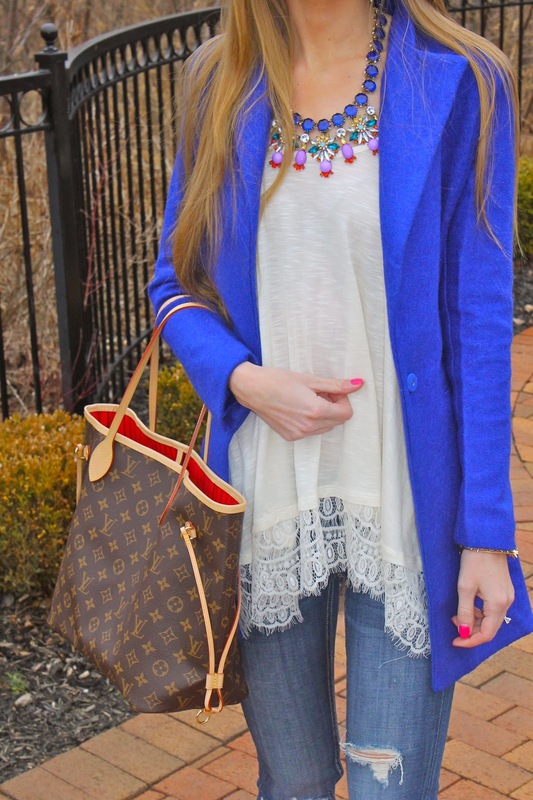 I love this color combination & I've been especially loving cobalt lately. Thanks for reading, happy Friday eve!